With Actuator you can make your computer perform AppleScript files, Automator workflows or any executable file remotely using your email. First: Add scripts to Actuator’s scripts folder. Only scripts in this folder can be run by Actuator. However, these can be AppleScript files, Automator workflows or any executable. In short, anything is possible. Second: Configure Actuator’s email settings. Give Actuator an email account for it to use in receiving and sending emails. Also tell Actuator what is the trigger: from who to accept emails and what subject should those emails have. Third: From anywhere in the world, send an email from your trigger email to Actuator’s account with the trigger subject. The contents are the scripts to run. Forth: Actuator runs the scripts for you and sends you the results. ‣ What should the contents of each email be? On each line, specify the name of the script to run. To pass a one-line argument, type a colon (:) after the name of the script and before the argument. If an email contains more than one line, then the scripts on each line are run sequentially. 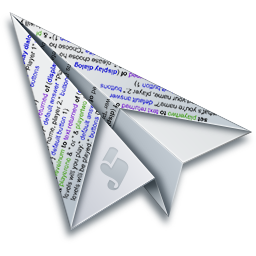 If the email is empty, Actuator sends back a reply with the list of scripts that are present on Actuator’s scripts folder. Useful in case you no longer remember the name of a script. To pass a multiple-line argument, type three colons (:::) on the first line and the name of the script on the second line. Every line after that is part of the argument. When doing so, only one script can be run per email. ‣ Actuator comes with a library of sample scripts to get you up and running in no time. However, to fully take advantage of Actuator, some coding skills are encouraged, as well as some imagination! ‣ For Actuator to work, your mac must be not be sleeping, have a connection to the internet, and Actuator must be running. Available on the Mac App Store for 2.99 $/2.99 €/2.29 £.